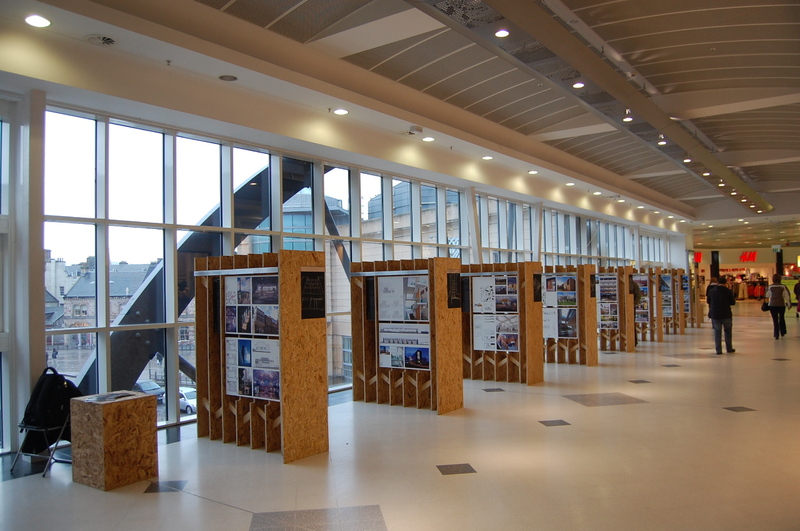 The exhibition was commissioned by Architecture & Design Scotland and The Scottish Government to showcase the 16 Scottish projects shortlisted in the 2010 RIBA Awards. We commissioned Matt McPhee to make special drawings on the walls of the gallery and on the exhibition stands too. After the exhibition's time at The Lighthouse, the exhibition moved on to The Eastgate Centre in Inverness.